The catcher carousel took an unexpected turn when the Milwaukee Brewers parted big money to sign free agent catcher Yasmani Grandal on a one-year deal worth $18.25 million. On the surface, it seems like a strange deal but digging a little deeper, it makes sense for both sides. 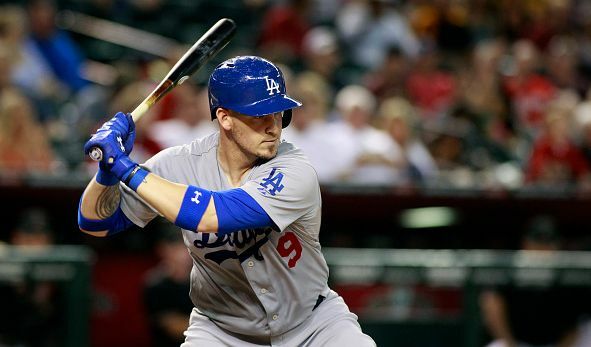 For Grandal, it means a big pay day and the chance to get another next year. For the Brewers, it means they’ve filled in one of their big weaknesses without having to commit big money long-term and blocking the possibility of Jacob Nottingham taking over behind the plate sometime. 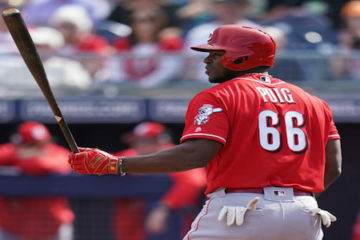 For Nottingham owners in dynasty, he’s a nice option for 2020 and has made enough progress defensively in Triple-A to be viewed as a catcher long-term. But what does it mean for Grandal in 2019? 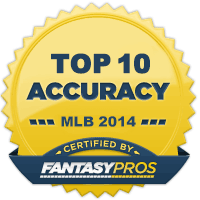 Well, early NFBC drafts have him going as the 8th catcher off the board with an ADP of 155. It’s worth noting that NFBC has a 2-catcher format so the earliest drafted catchers tend to go earlier than normal. In their 57 live drafts, he’s gone as early as 108th and as late as 180th. There’s a significant fall off after Grandal as the 9th catcher is Yan Gomes with an ADP of 229. 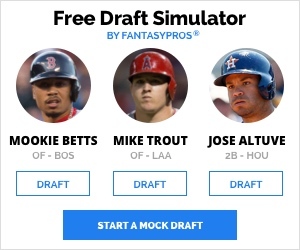 But out of the top 8 catchers being drafted, I’d have Grandal likely as my no.3 (behind J.T Realmuto and Gary Sanchez). If that sounds like I’m high on him, that’s because I am. In 2018, Grandal hit 24 home-runs which was good for 2nd among catchers (behind only Salvador Perez’s 27). Grandal now moves from a pitcher friendly park to a hitter friendly one as Miller Park ranks around the 9-12 mark in hitter friendly metrics with Dodger stadium around the bottom 10. Grandal has hit 73 homers in the last three years as a Dodger so has a good track record of power and now 30 years old in a better park for hitting, I expect him to get up towards the 30 home run mark. In the last five seasons, only three times has a catcher hit 25 homers and only once they hit 30. So that will be a significant achievement. Speaking of power, last year Grandal was third among all catchers with at least 300 plate appearances in slugging percentage and led all catchers in ISO with .225 which was also good enough for 33rd among all qualified hitters. So Grandal’s power can’t be dismissed. I don’t expect Grandal’s batting average to take a jump forward from his .241 mark in 2018 but a repeat certainly isn’t going to be as big of a negative as it once was, and he makes up for it with 13.9% BB% (only Russell Martin had a better walk rate among catchers with 300 PAs). Grandal shouldn’t have any real competition for playing time unless the aforementioned Nottingham suddenly breaks out with Erik Kratz and Manny Pina the only other rostered catchers. As a switch hitter, platoons won’t be an issue even though Grandal has better career numbers as a leftie (.797 OPS) than a rightie (.728 OPS). In 2018, Grandal had a 3.6 WAR whilst Brewers catchers combined for 1.1 WAR so he’s a clear upgrade. The only downgrade for Grandal with this move is his new lineup isn’t as potent as the Dodgers’ one (but it’s not as if he’s moving to Baltimore). 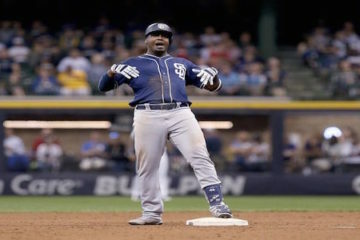 The power should see a nice bump although his runs and RBIs might not follow suit with his supporting cast. But he’s still very much a must own in all formats. I’m someone who tends to wait late for catcher but if Grandal is sat there in the 12th round, I’d have no hesitation in drafting him, even if the likes of Molina and Posey are still sat there.